The ZagTrader Asset and Portfolio Management System is a one stop asset and portfolio management system that will simplify all your operations so you can focus on your core strength. The ZagTrader Asset and Portfolio Management System will allow you to manage assets and portfolios using the latest and best tools in the business. Gain a prospective view over your assets and manage through maximizing returns. We’ll enable you to manage investment strategies efficiently and confidently all in real-time. Asset managers need a flexible software that can help them adjust to their business requirements and provide them with the sophisticated tools they need to manage their operations. ZagTrader Asset and Portfolio Management System will make you strong and capable to fully manage your business. The system provides a unique integrated experience between the front end and the back end (trading – accounting) which will allow clients to not only have the recommendations and analytics, but to also integrate with global data feeds and research. The portfolio balancing can be done through tight integration between the trading platform and the asset management platform. This is the next generation asset management at its best. Different weighing factors based on segments such as sectors, geographies, and asset classes. Auto rebalancing capabilities that nicely integrates between the buy side and sell side of the platform. Transaction Cost Analysis (TCA) supported. TCA provides you with the capabilities to do pre trade validations on what you would like to achieve. This can also be provided by 3rd party providers. Extensive reporting capabilities in addition to on demand reports production for unlimited viewing. Management for portfolios with execution capabilities. 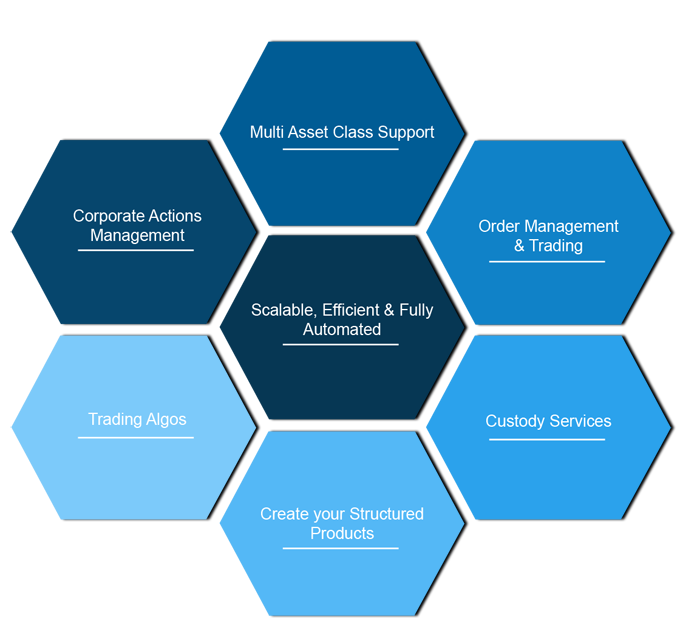 Straight-through processing across multiple asset classes across multiple markets. 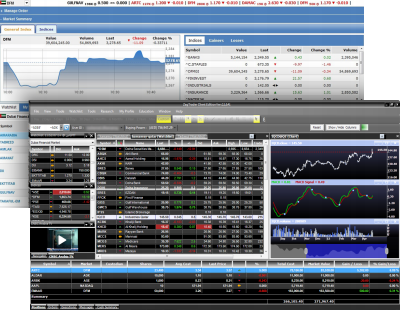 Tightly and seamlessly integrated with Bloomberg EMSX/TSOX, Thompson Reuters, NYFIX, and prime brokers. You can connect the system with Attribution Analysis tools and the system will be able to identify portfolio compliances and breeches for you. The system will also determine if it’s overweight or underweight over certain instruments. System is able to provide you with capabilities to allocate multiple portfolios for the same client which will allow you to have multiple model portfolios partially allocated in partial views for the clients based on the risk factors that are set. Ready-made APIs that can be hooked to a ready-made Robo Advisory services, which will allow you to create Structured Products on which the system will price by generating real time bid and ask prices. Can be integrated with core banking systems or can run totally independent using the existing superior back office capabilities of the platform. Integrated with global corporate actions data feeds and automation of settlement procedures.